In the United States, earlier this year, Barack Obama announced the signing of a decree to strengthen the security of critical infrastructure against cyber-attacks in the fields of electricity, finance and aviation. Almost at the same time, the European Commission published its first strategic cybersecurity plan, which aims at maintaining an open, safe and secure cyberspace. It also came up with a proposal about networks and information security. Cybercrime increases literally. The media also regularly reports on the discovery of cyber-attacks. In January 2013, major U.S. media, including the New York Times and the Wall Street Journal, said they had been victims of spying some of their journalists’ email accounts and data. Then in February, Twitter and Facebook have then announced that they have also been affected by similar attacks. It is clear that cyber-attacks are growing, both in power and complexity and the level of threat faced by organizations and individuals is also rising. Firstly, the interaction increases between virtual and real networks imply that these attacks can affect physical infrastructures. This was the case with the Stuxnet virus, discovered in 2010, which aimed at addressing the Iranian nuclear weapons program through sabotage of the process of uranium enrichment. And unfortunately, the development of the Internet of Things, which will connect everyday objects with the Internet (such as watch, car, glasses, etc..) will still greatly increase the security threat to the real world. Secondly, cyber espionage increases at an alarming rate, with attacks that are designed to steal data from companies and governmental structures: Research & Development activity, financial and commercial data,etc… These include for example the attacks on the Ministry of Economy and Finance in France in 2010, during the French Presidency of the G8 and G20. 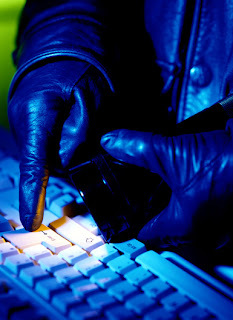 Most organizations have already been victims of computer intrusions, for espionage purposes or will soon be. Finally, cybercrime continues to grow: it includes both individuals and businesses, with an aim of financial gain. Phishing has become very fashionable lately and is used to extract personal information such as bank details or passwords: it is to make the victim believe it is addressing to a trusted third party (e.g. : bank administration). Antivirus software is also often ineffective against this type of attack, individuals are such extremely vulnerable. Cybercrime is experiencing strong growth under the leadership of organized crime, encouraged by low risk in terms of prosecution, compared to the expected financial gain. Individuals and businesses are not aware of the risks involved with computers and mobile phones, even if there is a growing awareness of governments vis-à-vis this issue of cybersecurity. States are, however, constrained by the growth of cybercrime and the international dimension of these attacks, which leads much too infrequently to prosecution, given the legal constraints. To secure your computer or mobile device when you connect to the Internet, use a VPN service. You will ensure that your online activity, your online banking and all your downloads will happen safely. Simply select a VPN server in one of 12 countries, and you will protect all your Internet activities with a secure VPN tunnel encryption including a virtual extremely strong encryption system. Your IP address will automatically be replaced by an anonymous IP address in the country you have selected. Le VPN Installation is simple and takes less than 2 minutes. Buy a VPN service or test our free VPN.